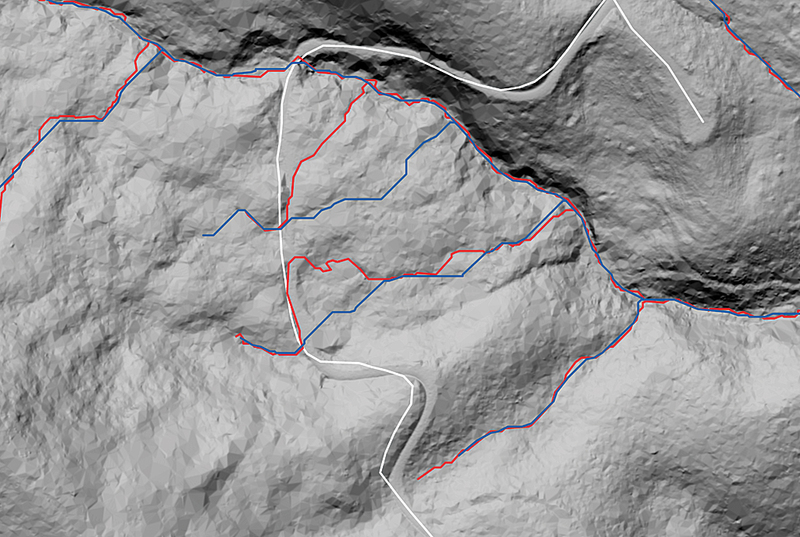 (above) Vegetation Removal: Removing vegetation from a LiDAR dataset reveals the highly detailed bare-earth topography. 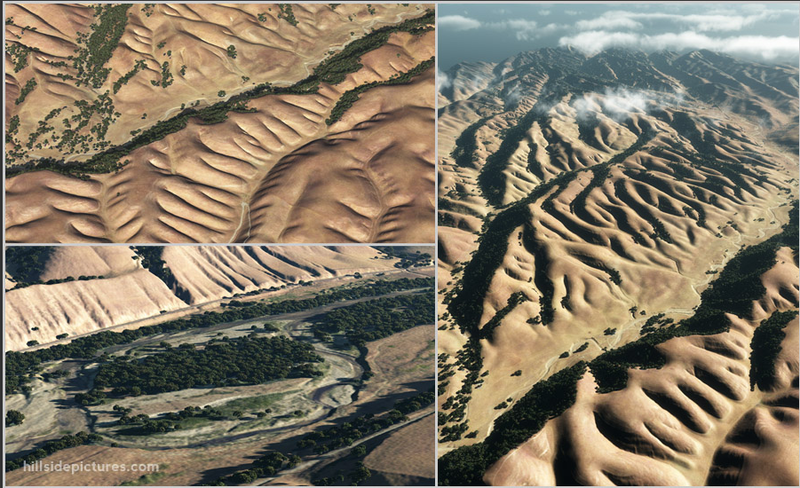 (above) Gabilan Mesa: Landscape renderings based on high resolution LiDAR data for Gabilan Mesa, an old erosional surface featuring gently sloping plateaus strongly aligned with each other along the eastern side of the Salinas Valley, CA. Republished from Hillside Pictures, Calif.
Hillside Pictures was born out of the desire to blend my lifelong passion for moving pictures and graphic design with my background in computer science and remote sensing. 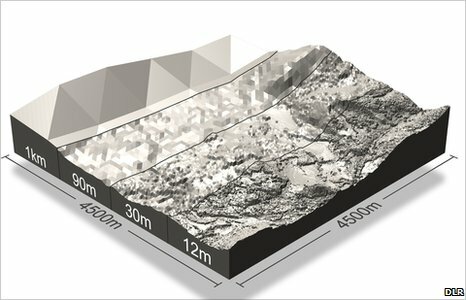 The results are complex visualizations of landscapes and natural environments with emphasis on both scientific accuracy and visual aesthetics. My work is grounded in broad technical expertise, highest attention to detail and years of work experience in the academic environment. Stepping outside the field of data visualization, I enjoy working on motion graphics and visual effects projects, including animated DVD menus, titles or intros. 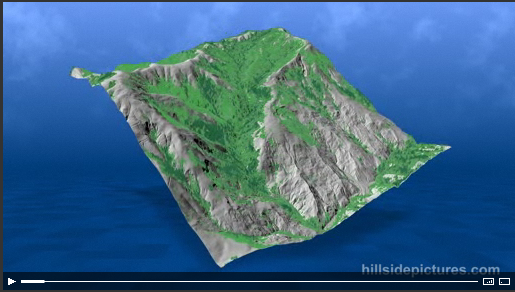 Continue to Hillside Pictures artwork gallery . . .